Africa’s wildlife is the richest in the world. Nowhere on earth will show you such abundant wildlife like this continent – it’s beautiful, it’s profuse and it’s incredibly fascinating. This trip to Kenya was my very first time in Africa, meaning that my knowledge on the animals here has recently become a whole lot broader. 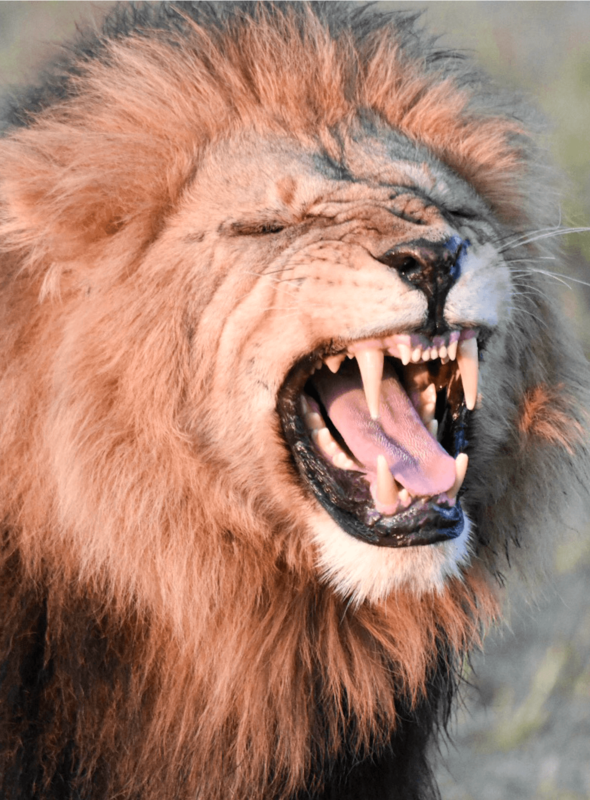 Of course, a lot of these animals are found in most of Africa, so these facts obviously aren’t limited to only Kenya facts… But hey, this is where I visited and I think it’s time I share some interesting facts about the beautiful Kenyan wildlife with you! Zebras are said to have evolved with stripes to avoid catching a common disease that is spread via flies. Their stripes cause confusion amongst the bugs eyes, leaving them unable to land on their skin. If horses were to be copious in Africa, it is assumed that they would never survive due to this fly transmitted disease. 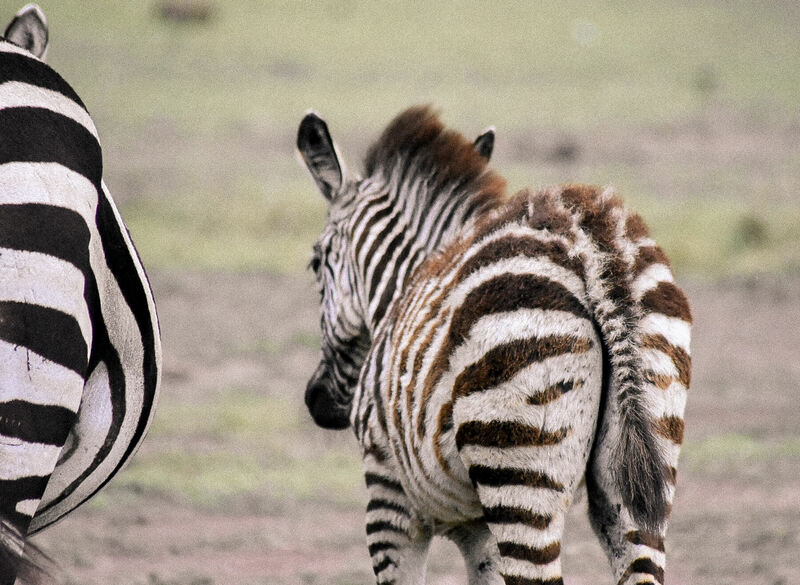 So essentially, the Zebra’s black and white stripes save their lives! How amazing is that? 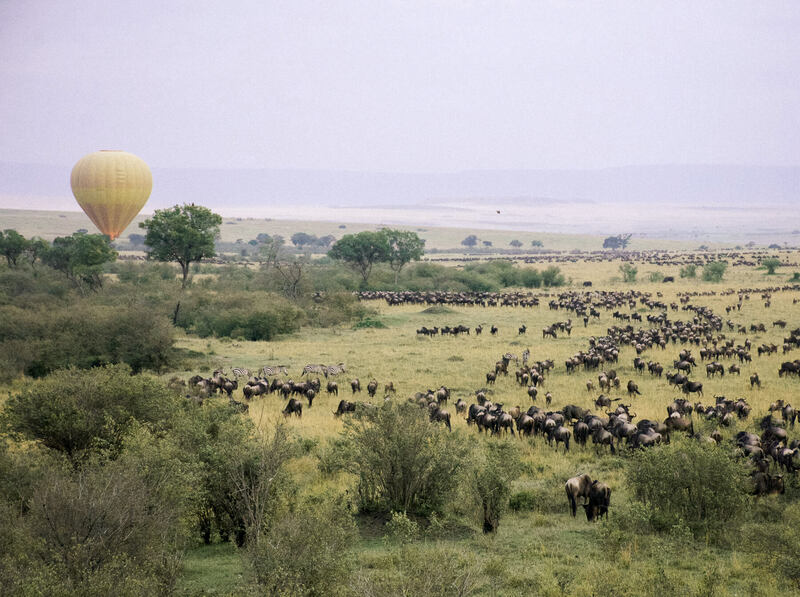 Every single year, over 2 million wildebeest migrate from the Serengeti in Tanzania to the Maasai Mara in Kenya. 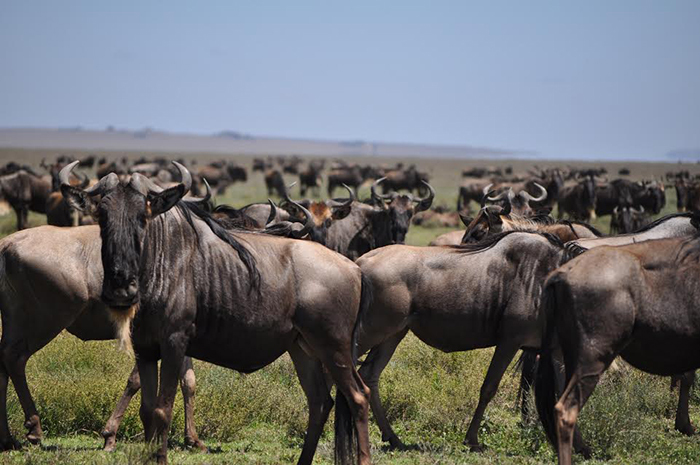 They travel in a big loop, covering over 2900 kilometres in search of rich green grass. From July through to October, the Maasai Mara welcomes huge numbers of wildlife, making this time of year perfect for experiencing a safari! The unfortunate confirmation of these animals means that they’re unable to see directly in front of themselves – their eyes are situated very far apart and on the sides of their head. They walk in a formal line during the migration for optimum safety; having a friend in front makes them feel secure due to their lack of forward vision, and their great side vision means that they are able to easily warn and protect each other when needed. The Maasai have existed in Kenya for many many centuries; living in small hand constructed villages in the midst of the National Reserve means that lions are often on the hunt for their cattle during times of hunger. The Maasai do not believe in killing wildlife, but protecting their livestock is of great importance. Since the beginning of their existence, this tribe have worn Red Shukas and when a lion now sees a Maasai, their red clothing gives them fear that they have killed something they shouldn’t have. Of course, this depends on the individual animal (so don’t act fearlessly just because you’re wearing a red shuka) but for the most part, the Maasai and lion live in harmony. Both simply want to steer clear of one another! The largest land mammal on earth is also the most emotional. These beautiful creatures are the most family orientated animals in Africa – they remember almost everything that occurs in their lifetime, they mourn the loss of loved ones just as we do and they can even communicate to one another through their feet. Elephants can feel vibrations from extreme distances. It is said that they can feel the vibrations from storms through their feet from almost 240 kilometres away, and a single stomp of their big feet can be felt for up to 9 km! Also, you know the elephant graveyard in the Lion King… That’s a real thing. These animals instinctively travel to a certain location to die, far away from their herd. They sure are magical creatures! 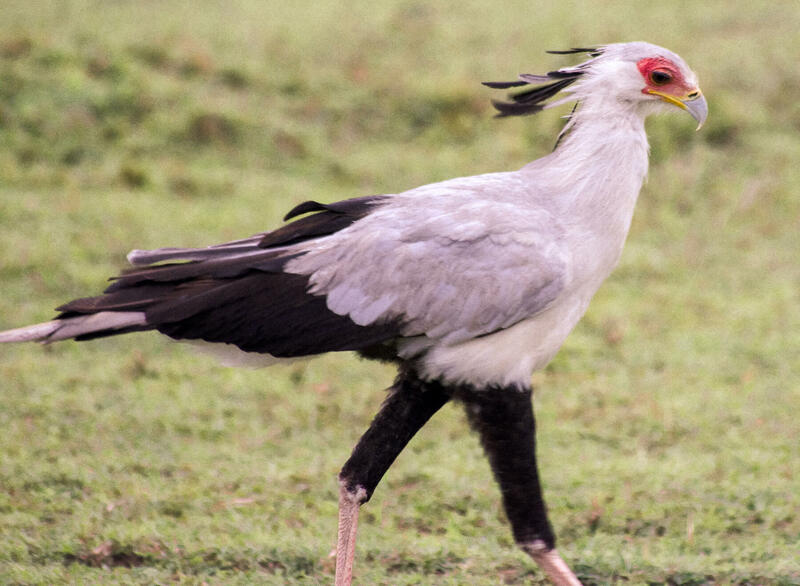 The Secretary bird needs a runway to take flight! But this very big, strange looking bird needs a strong take-off before it finally takes flight. It will run with spread wings before finally being able to soar into the sky. The secretary bird can reach 1.3 metres in height due to its eagle-like body, and crane-like legs. It looks like a strange mash of different bird species, and its method of take-off makes it even more fascinating! In September 2017, a very rare sighting of 2 white giraffes occurred in Ishaqbini Conservation Park, Garissa. The pair were originally spotted in June, but the mother and calf were captured on camera a few months later. They were born with a genetic condition called “leucism” which causes a partial loss of pigment in the skin. How special is that?! Although we were in a totally different area, this sighting actually occurred whilst we were still in Kenya, and the locals were very excited about it! 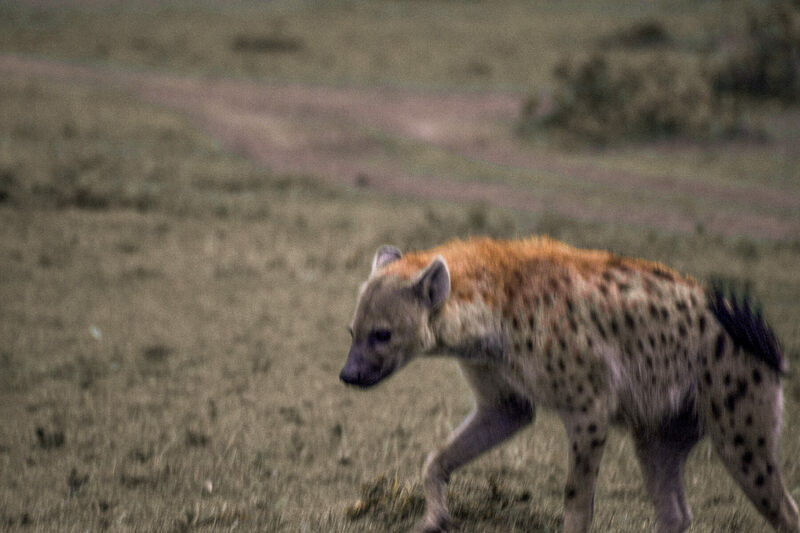 Unlike most of the Kenyan wildlife, Hyenas can digest almost everything they eat; skin, bones, the lot! They have a special acid in their stomachs that allow them to break down even the hardest of delicacies. They look like funky creatures, but they sure are made for Africa! 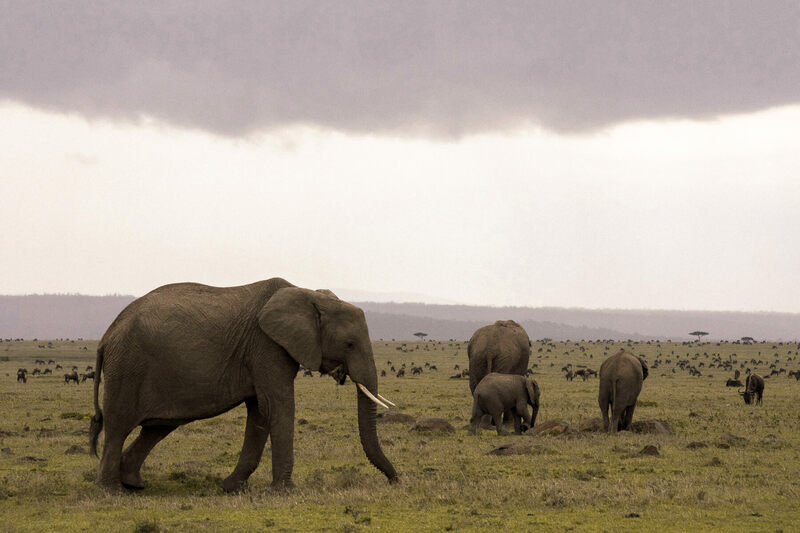 The ivory trade is something that has devastated the whole of Africa for many years. 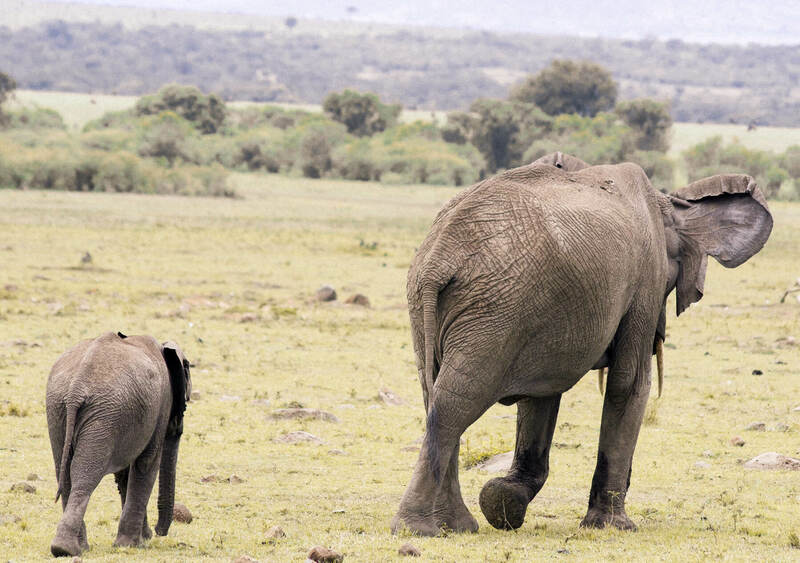 Over 100 elephants are killed in this continent every single day… Thankfully for Kenya, they are one of only 4 countries whose elephant population is slowly on the rise. In no way does this mean that poaching is no longer a problem in this country, both elephant and rhino are killed here quite frequently. 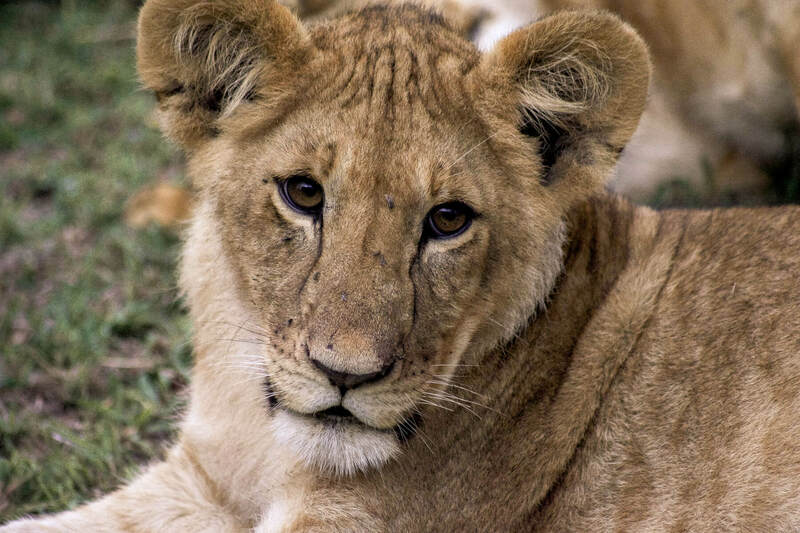 But thanks to the amazing wildlife protection teams, the number of deaths is slowly decreasing. 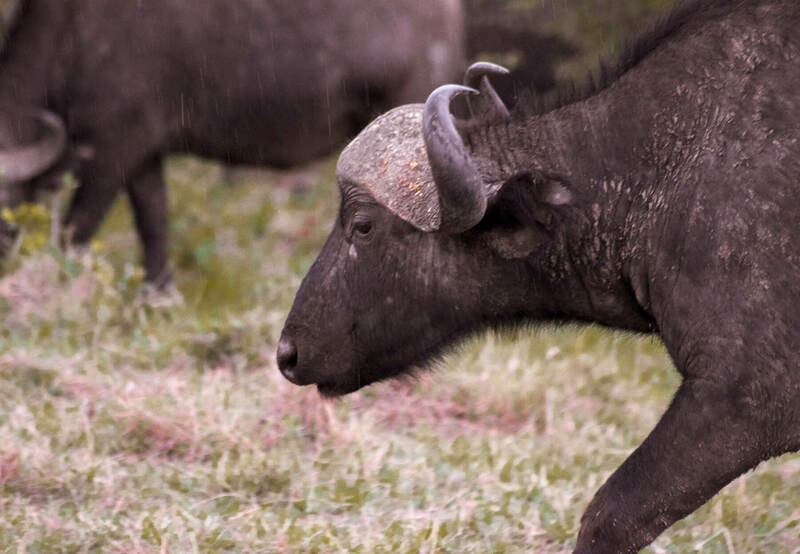 Don’t be fooled by their docile presence, Buffalo are actually one of the most aggressive animals in Africa. They are one of the only animals that will actually hunt a human down before attacking, especially if there are babies around. They may look like big, very relaxed animals, but if duty calls… There’s no doubt that they’ll attack! Disclaimer – As I’m sure you already know from my other posts, my experience in the Maasai Mara was thanks to the Losokwan team. They taught me all of these incredible animal facts, and I couldn’t be more grateful for their knowledge. 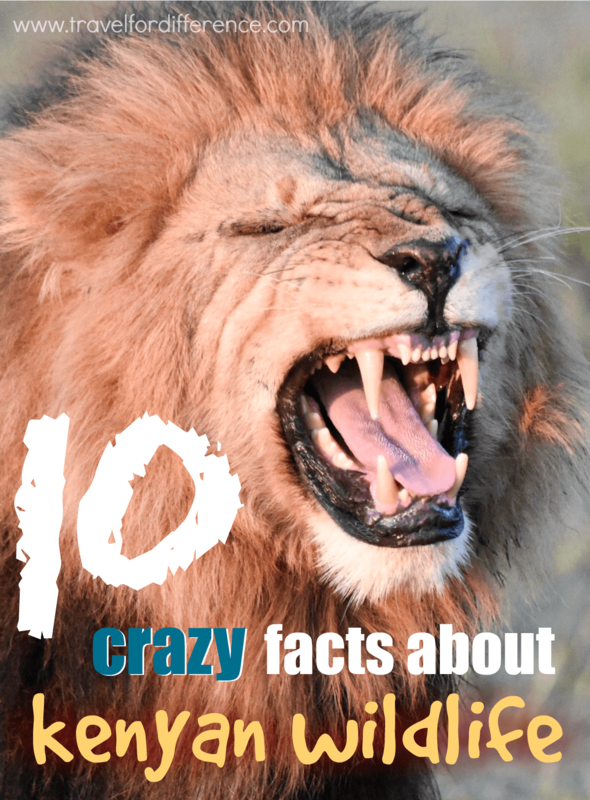 Have you got any other Kenya facts to add to this list?